Lawmakers Are Sacrificing Children to Molech. When Will the Church Wake Up? Two veteran NASA astronauts joined the ranks of the U.S. Astronaut Hall of Fame Friday. 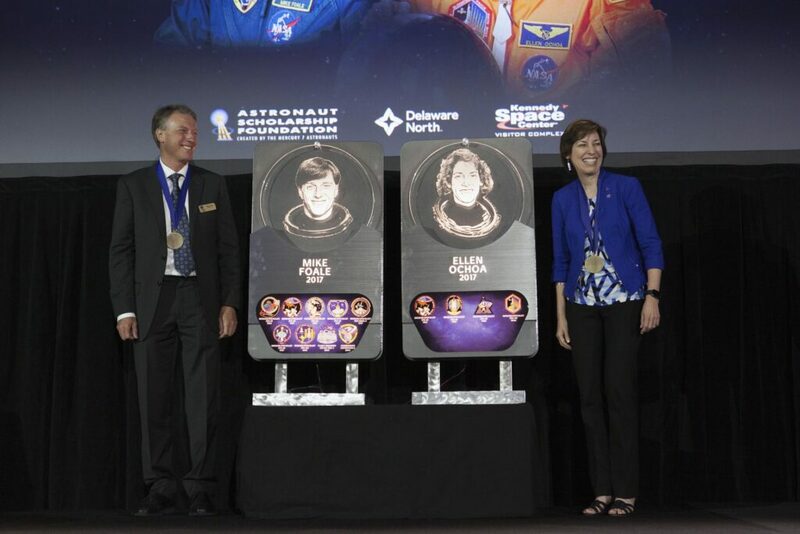 Ellen Ochoa, the first Hispanic woman to travel to space and current director of the agency’s Johnson Space Center in Houston, and Michael Foale, the only U.S. astronaut to serve on both the International Space Station and Russian space station Mir, bring the total number of space explorers honored in the hall of fame to 95. Bob Cabana, 2008 hall of famer and current director of NASA’s Kennedy Space Center in Florida, presided over the ceremony at Kennedy’s visitor complex to welcome the new inductees. 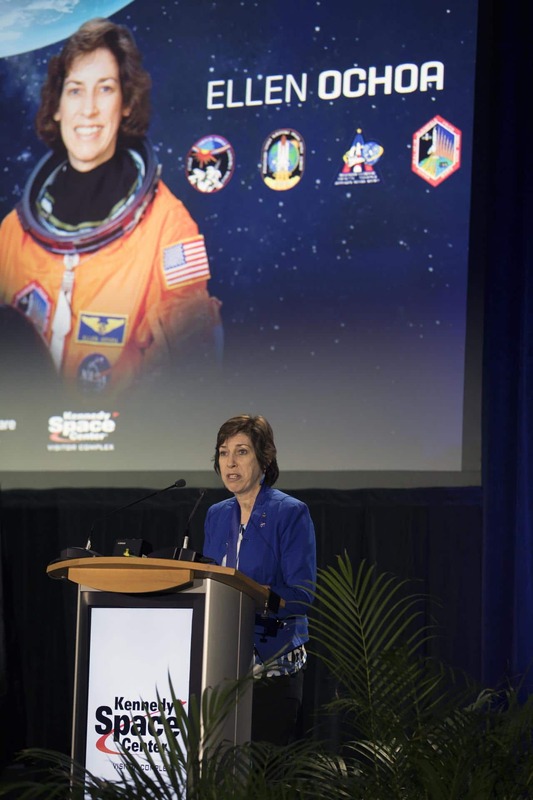 Ochoa joined NASA in 1988 as a research engineer at NASA’s Ames Research Center in California after earning a doctorate in electrical engineering from Stanford University. She joined Johnson in 1990, when she was selected as an astronaut candidate. After completing astronaut training, she served on the nine-day STS-56 mission aboard the space shuttle Discovery in 1993, conducting atmospheric studies to better understand the effect of solar activity on Earth’s climate and environment. Ochoa has flown in space four times, including the STS-66, STS-96 and STS-110 missions, logging nearly 1,000 hours in orbit. She is Johnson’s first Hispanic director and its second female director. She also has served as the center’s deputy director and director of Flight Crew Operations. Foale, whose hometown is Cambridge, England, earned a doctorate in laboratory astrophysics from the University of Cambridge, Queens’ College. A naturalized U.S. citizen, Foale was selected as an astronaut candidate in June 1987. Before his first spaceflight, he tested shuttle flight software in the Shuttle Avionics Integration Laboratory simulator. Foale was a crew member on six space missions, including STS-45, STS-56, STS-63, STS-84, STS-103 and Soyuz TMA-3. During STS-84, he helped reestablish the Russian Space Station Mir after it was degraded by a collision and depressurization. Foale logged more than 374 days in space, including four spacewalks totaling 22 hours and 44 minutes. Foale also served as chief of the Astronaut Office Expedition Corps, assistant director (technical) of Johnson, and deputy associate administrator for exploration operations at NASA Headquarters in Washington. His last assignment at Johnson was as chief of the Soyuz Branch, Astronaut Office, supporting Soyuz and International Space Station operations and space suit development. Foale retired from NASA in 2013.